Who doesn’t love a good wine tasting? 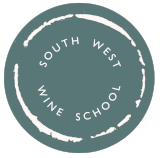 Whether a group of 10 or an office of 100, South West Wine School offers the perfect solution for a brilliant team building event which will be educational, fun and hugely sociable. We’ll bring the wine, the glasses and the knowledge and stay for as long as you wish at whatever time works with your busy schedule. Alternatively, if you think it best to escape the office, we’ll find a gorgeous venue for you to sit back and relax whilst tasting interesting wines from across the world. Devon-based Sunday Telegraph wine writer and Saturday Kitchen drinks presenter Susy Atkins is one of the most popular and personable figures on the national drinks scene and will be making frequent appearances on behalf of South West Wine School. Liam Steevenson MW became the youngest Master of Wine in the world, at the age of 29. ‘My father is a wine merchant,’ he says, ‘so you could say it is in my blood. My work now takes me to New Zealand, Spain and France, where I produce wines for the Vineyard Productions portfolio. I have just returned from Nashik in India, which is certainly a name to watch in the future. Call 07710 048 728 or email events@southwestwineschool.co.uk to arrange a bespoke wine tasting for your team.